This spring espy was incredibly honoured to be named Best Menswear Store by Best of Calgary! 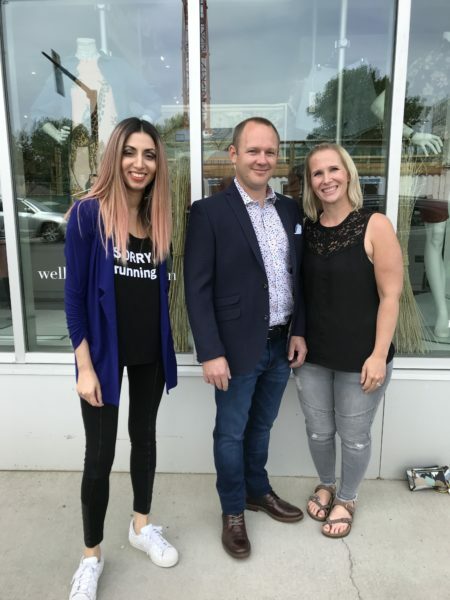 In celebration, espy hosted a contest for Calgarians to nominate the most deserving man in Calgary for a chance to win a $2,000 makeover package espy-style. This package included a $2,000 gift card and complimentary personal styling appointment with our expert menswear stylist, Puneet. With many nominations submitted, the process of selecting a winner certainly wasn’t an easy task. Together the espy team selected one incredible man, Sheldon Heppner. His wife, Courtney behind his back nominated him for this experience and to her pleasant surprise, won. After getting him in and out of his pants enough times, the anger subsided turning to laughs and smiles with the espy team and his wife. All of which were dishing him compliments and assuring him of the stylish outfits he modelled. This is an experience he’ll surely never forget. Sheldon worked in trades for 13 years. 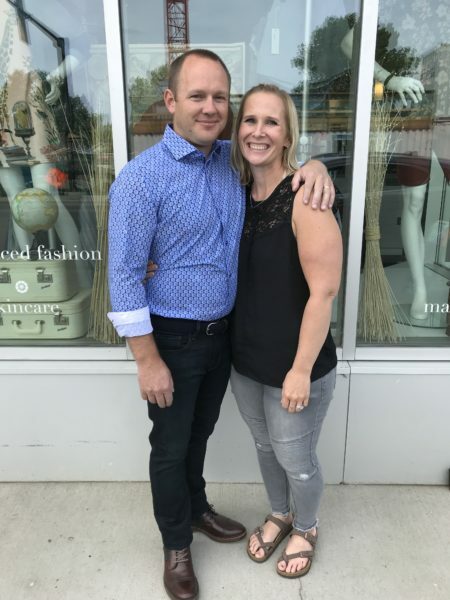 However, in order to provide a more stable life for his young family, he recently traded in the hardhat to work as a coach and facility manager at the school his children attend. He’s a loving dad to a spunky 11-year-old daughter with Cerebral Palsy and a 12-year-old son. His wife Courtney was determined to gift him something spectacular so with high hopes she nominated him for this one-of-a-kind experience. She explained in depth to us how Sheldon is the type of guy whose heart is bigger than he is, always giving much more than he expects in return. As a result of being a young family, Sheldon and Courtney never spend money on themselves. Courtneys wish for this Father’s Day were that he’d finally get the pampering he deserves. Sheldon makes incredible sacrifices every day at his job, for his family, and for the students. He’s the type of guy that always engages with the students in the hallway and makes them feel special. Above all, espy values spreading love and being kind to each other. This made Sheldon the perfect candidate for our man-makeover as he spreads love each day to all those around him. Sheldon’s current go-to outfit was a graphic tee with jorts (jean-shorts) making it clear to us that he deserved this transformation. Sheldon is a person in charge, it was time he started to dress like it. Above all Courtney’s wish was that he would be able to show how amazing he is inside through his style on the outside. In traditional espy style, Puneet composed every possible outfit in the store for him. In addition, she showed him the versatility of individual pieces and how to wear them differently with other looks. His positive attitude never swayed and he modelled each look for Courtney and the team. Everyone was there to make him feel his best. As a result of the espy team’s undying encouragement and support for two and a half hours straight, he rediscovered himself. With a brain full of new styling tips and tricks, a new found confidence, and an ecstatic wife by his side, Sheldon was ready to take on the world. In conclusion, it was time to say farewell to the graphic tees. In addition, we would like to thank you for being so amazing! Also Thanks to Best of Calgary for this opportunity.